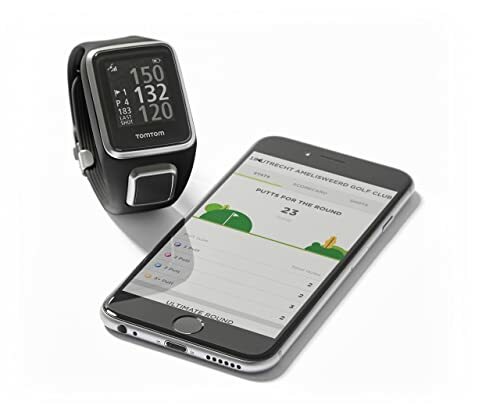 You do not have to carry bulky handheld golf GPS devices because there are some small and compact watches like the TomTom Golfer 2 with all the features that you need. This fantastic watch is a perfect fit for everyone, and it has some top notch features such as Shot Detection, Automatic Scorecard and Green and Hazard Graphics. And if you add the fact that it has a fantastic screen and more than 40,000 pre-loaded courses then you have an excellent device that will help take your game to the next level. 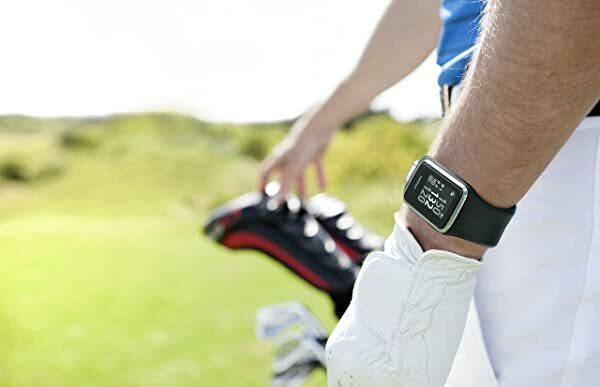 Shot Detection: This watch has a smart shot detection feature that will detect and record the distances that your shots travel to show you your potential and some insight on your golfing skills. Auto Scorecard: You will know how you perform in every round when using this watch, and this is thanks to the Automatic Scorecard. And so post-game analysis will be very easy for you. Green and Hazards Graphics: With this fantastic watch you get to see the distances to the front and back of the hazard before taking any shot. On top of this, you also get distances to the back, center, and front of the green. Ultimate Round: This feature is one of the things that make this a unique device because it helps you get a summary of the best holes on any course that you play on regularly. Using this data, you can be able to figure out the best combination of holes. Pre-loaded Courses: It comes with full data for more than 40,000 golf courses from across the world, and so you can be confident of finding any course. Strap: The strap is as important as the watch itself, and that is why TomTom uses an improved Tri-fold Closure to give this watch a perfect fit and maximum comfort. TomTom Golfer 2 might have many similarities with its predecessor (TomTom), but it has a lot of improvements. Some of these improvements include swing measurement using a gyroscope and built-in motion sensor, and this is one of its biggest advantages. With this watch, you will not only get to know your distance potential but also a post-round analysis that is very detailed. The battery is long enough for a couple of rounds. It has an ultra slim and comfortable strap. The watch is very lightweight. Not the cheapest but still very affordable. You can still wear it off the course as it looks very sleek. Actionable data that you get from the app is very beneficial. Easy to read even in direct sunlight. The strap is slim and comfortable but still needs some improvement. It lacks a statistics tracking feature. You have to enter the putts manually. 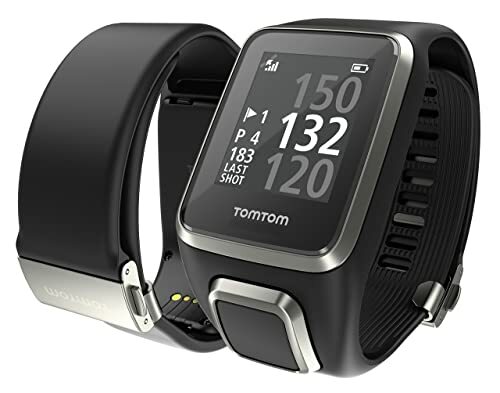 TomTom Golfer 2 Does not have club tracking. The app also needs a lot of improvement. A best golf GPS watch gives you all the information that you need to enjoy the game, and this is more so if it is rich in features like TomTom 2. It is a very comfortable device to have on your hands but the fact that it gives you all the necessary information that you would expect from a standard golf GPS s what most golfer love about it. This device is also quite affordable, and its small screen is easy to read under any lighting condition. However, some golfers also complain about a few things that need improvements such as the app and strap or the fact that you have to enter the putts manually and its lack of club tracking. But, the bottom line is that it is still a top notch device even if you consider the few flaws.